You’ve decided to take on the responsibility for your child’s education. Now that’ you made that huge decision, how do you decide what to use to teach your children? And can you afford it? We’ve discussed the need to examine your budget and determine what your homeschool curriculum budget will be for the year. 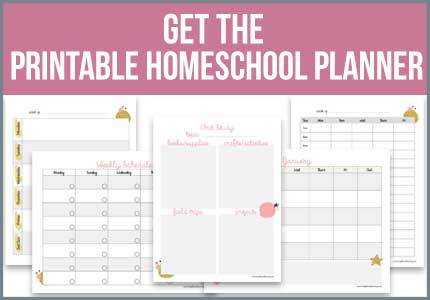 Now let’s go through other ways we can bring that budget down to use the items that you’ll need this year in your homeschool. Don’t make any impulse purchases but instead take the time to look into what you will need for each child. What areas do they struggle in and what areas would you like to concentrate on. Go through and make a list of curricula that you’d like to look into. I then make a list and research the heck out of it. I read online reviews. I price the items for both new and used items from different vendors. I keep a record of everything so that when I’m looking for curriculum the next year for another child, I don’t have to go through the whole process again. Once you’ve read enough and determined if it will be a good fit, then you can go ahead and think about purchasing the item. Impulse purchases will usually fade away. I know I get excited when I hear about a new curriculum that people are excited about, I go and read the positive reviews and have gone out and purchased the item. I then find out that it’s just not a great fit for our family. It doesn’t jive with my teaching style or my child’s learning style so it gets tossed aside and sits on my shelf collecting dust. Again, had I taken the time to research I may have found that it wasn’t a good fit for us, maybe not, but I would have felt better about my purchase. Sometimes I examine what’s working for us and think, what if we used this curriculum instead, maybe it would be better. I change things up and then find that it just doesn’t work or so and so loved this so I have to try it because my kids are missing out. Be confident that you’ve done the best job at choosing the right items for your family. Only you will know what works, don’t worry about what others are doing and focus on the needs of your family. You can see my favorite places to look for used curriculum but the first thing I’d do is set up a Paypal account if you don’t have one, it makes it so much easier to send money and no one likes to wait for a check to be mailed and cashed. You really need to plan ahead because you’ll have to keep an eye out for when your items are available for sale. I’ll watch on Kijiji and eBay and local sources as well. If you have a ready list of items and their prices then you’ll know when you’ve found a great deal. You’ll want to ensure that what you’re purchasing the correct materials, inquire about their condition and if there are any other required items that you may need to purchase. Confirm which editions you’re receiving so there are no surprises. If you’re able to teach music lessons and someone else rocks at science how about swapping lessons for your children? You could also start your own homeschool co-op in your home. Get creative and find opportunities for your children without feeling as though you’re missing out on all the good stuff. I’ve created a curriculum research printable to help you see how I keep a list of my curriculum wishlist. I want to get the best price and not have to keep looking up shipping costs and different vendors all the time so I make a list. I can then compare to used items and see how much I’m really saving. Homeschool sales usually occur at specific times of the year, in the spring is a wonderful time to keep an eye on sales. If I want a particular curriculum I always sign up to get their newsletter to watch out for their sales. Black Friday is a great time to nab homeschool books as well. I do a lot of shopping then too. I also check on Homeschool Buyers Co-op to see if there’s anything there for sale first. I’ve purchased an art and math curriculum at a huge discount from there. In the spring there are homeschool bundle sales that specialize in digital resources, I’d keep an eye out on the Build Your Bundle and Ultimate Bundle sales for those. 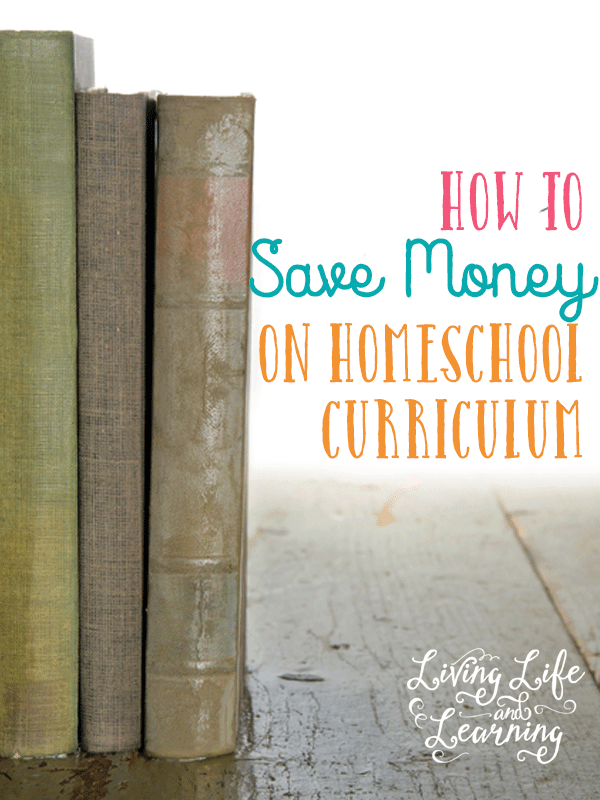 A good way to save money on homeschool curriculum is to keep track of the curricula you already have. Get the curriculum tracking sheets here. 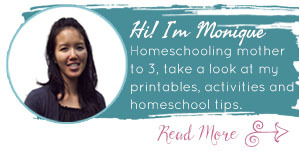 You’ll also want to check out the other 26 bloggers in this series as well and join our Homeschool Tips 4 Moms Facebook group to keep the discussion going and chat with other homeschooling mothers.